At this year’s Paleo f(x) I discovered not only great tasting wine but ones that were actually healthy. I didn’t know all the reasons why these wines were healthy, but I felt great while drinking them during the speaker dinner. I reached out to the owner of this wine club, Todd White, to come on the podcast and explain what makes these wines so healthy. After hearing more from Todd I am even more impressed by these wines. If you haven’t been able to tolerate wine or alcohol, this might be the solution you have been searching for. If you need help understanding more about healthy wines, click here. Dr. Michael Ruscio: Hey, everyone. Welcome to Dr. Ruscio Radio. Today, we are talking about one of my favorite—I don’t want to call it a hobby because that might be a problem—but one of my favorite social time activities, which would be having a nice glass of wine. And we have Todd White from Dry Farm Wines here to talk about his wine line, which I came into contact the first time at Paleo f(x). And I was really impressed. And so I invited Todd to come on the show and talk a little bit about his healthier version of a wine. So Todd, thanks for taking the time to speak with us. Todd White: You know what? I am excited to be here. And it’s just a terrific honor to be on your show. And I’m really looking forward to helping educate your listeners on my hobby, which is wine, and my other hobby, which is healthy living and biohacking. So we have a lot to talk about today. DrMR: Definitely. And people are probably used to me encouraging socialization and fun. And finding a healthy wine that’s going to mitigate any type of reaction, side effect, hangover I think is a nice step to that endpoint. So, yeah, definitely very excited to have this conversation. And I guess to kick us off, tell us a little bit about how you got into wine and everything that you’re doing now. TW: So I’ve been in the wine business in various fashions for maybe about 15 years. And as I got cleaner in my nutritional programming… I’m ketogenic. I’ve been in ketosis full-time for about two years. And I also speak and write about ketogenic diet and cooking and the pleasures of eating ketogenic and just the pleasures of life. So as you alluded, socialization and this kind of living with pleasure and finding joyfulness and peace and happiness in life is such a component of healthy living. But as I had gotten more dialed into my nutritional programming and had gone from low-carb to CKD, which is Cyclically Ketogenic Diet, to full-time ketosis and also, I think, as I was aging and also how commercial wines are being made has substantially changed in recent decades, I found that I just couldn’t drink traditional wines anymore. And I actually stopped drinking for a period of time in a period I like to refer to as suffering through sobriety. And so I had actually stopped drinking. So he ended up experimenting with the wines and then gave us this resounding endorsement around it because of the health aspects. And we’ll talk about what those are. But as I got more dialed into clean living, as you know, your body is highly adaptive. So it adapts to the poisons that we feed it. And it also adapts to a cleaner way of living. So as we get dialed up into clean living, our body rejects these exogenous poisons with more resilience once we get away from them. So I found that I just couldn’t drink traditional wines anymore. I didn’t want to stop drinking wine. And so I went on a path of discovery. Even though I’d been in the wine business for a long time, I didn’t know these wines existed. They’re primarily grown in Europe. There’s a very specific protocol. Categorically, they’re known as natural wines. So if you search “natural wine” on the internet, you’ll find a whole bunch of published articles that will all pretty much say what we’re going to talk about today. Categorically, what makes a natural wine? There’s a specific protocol for natural wine making—and that’s what we’re going to talk about—and what makes it different and why it’s healthier. First of all, it’s sugar free and carb free and keto friendly. So these wines have no impact on my ketosis or blood sugar. I, like many people, believe that nutritionally my goal is to suppress insulin and blood glucose. That’s the reason I’m ketogenic. And importantly, these are diagnostic friendly. These wines are friendly to the ketogenic diet because they’re sugar free and carb free and additive free. DrMR: Let me ask you a question right there, Todd. DrMR: Just because, as I understand alcohol, it is a carbohydrate. So how can there be alcohol but it be carb free? TW: Well, so ethyl alcohol—if you search on the internet “alcohol and carbohydrate,” you’ll find ethyl alcohol is carb free from our point of view. What’s bringing carbs into wine is sugar. So these wines are fully fermented. This is a common question that I get very often about sugar and wines. So let’s just start there for a moment before we talk about the wine-making protocols and farming protocols. TW: So when you make wine, there are two different parts of the process. First of all, on one side, you have farming practices. On the other side, you have wine-making protocols. We’ll talk about that. But let me cover the sugar thing first. So here’s how alcohol is made. Here’s how wine is made. We’ll just talk about wine. But many alcohols are made this way that are not distilled. So if it’s fermented, just like with kombucha, here is how wine is made. So when grape juice, which contains sugar and lots of it, is inoculated with yeast, the yeast eats the sugar. And the by-product of that is ethyl alcohol and carbon dioxide. That’s how all wines are made. Where you get into sugar in wine is primarily from a broken fermentation—so the winemaker kills the fermentation before the yeast eats all the sugar—or conversely, you have wine-making styles and techniques which produce a higher sugar. So sugar in wines can range from zero in our case—and we lab test every wine. We’ll get into that in a moment. Range from zero to as much as 300 grams per liter. To give your audience a reference point, Coca-Cola is 108 grams per liter of sugar. So on the high end of sugars in wines, we’re talking about ice wines, late harvest, dessert wines, wines that are intentionally made to be very sweet and concentrated with sugar. On the low side, on the zero to 50 grams per liter—so commercial wines typically, commercial wines today, range from about 10 grams per liter up to about 50 grams per liter. Now, all of our wines are less than 1 gram per liter or statistically sugar free. TW: At the serving level or even at the bottle level. And as I mentioned earlier, our wines have zero impact on blood glucose or ketone production. If they contain sugar, they would have an impact on both. And so I just did a wine tasting last night with some customers who were visiting Napa Valley. As we will discuss, all of our wines come out of Europe. We don’t represent any American wines because they’re simply not made to our protocol. And we’ll talk about that in a second. So I just did a blood pull last night before we started this tasting. I was at 3.1 mmol/L of ketones. And an hour later after tasting about 20 wines, I pulled my blood again. And I was at 2.8 mmol/L, which is statistically not even a relevant change. TW: So anyway, that being said, let’s talk about the farming practices and what makes these wines different, how your audience should be drinking—whether they buy wine from me or not—how they should think about drinking. So my job is to help educate people to think about drinking. So we can start with nutritional labeling. So many of your listeners and you and I and people that we hang out with at places like Paleo f(x) where we’re the official wine of Paleo f(x). We’re the official wine of the Bulletproof Conference and virtually every performance and health conference in the country and many mastermind groups who are all focused on executive performance and healthy living. So my job is to help educate people on how to drink and think about drinking and how to drink and think about health. So when we do that, as you know, there’s no nutritional labeling on wine. And there’s a reason for that. The wine industry has fought vigorously and successfully with their friends at the FDA and the TTB, which is the old ATF—have fought successfully to keep labeling off wine, keep nutritional labeling and contents labeling off the bottle. It’s the only food product that doesn’t have a nutritional label. DrMR: No, I didn’t know it was that extensive, no. TW: Well, you can see FDA-approved additives online. The list is long and nasty. Thirty-eight of them—exactly half—38 of the 76 approved additives include the acronym GRAS, which, as you probably know, stands for generally regarded as safe. TW: We don’t know what these additive do to health. Nobody has researched it. So we don’t have any idea. So anyway, let’s talk about how these wines are made and what makes them different and how your audience should think about drinking. So first of all, all our wines are 12.5% or lower in alcohol. And that’s very important because alcohol is toxic. It’s a poison. So is oxygen and water in the wrong dose. So it’s really very important to—I’m sorry. I’m in somebody’s office with a crazy recording going off behind us there. DrMR: No worries. No worries. TW: So the reason that’s really important is because it’s really important to get the dosage correct on alcohol. And so I believe in order to get the dosage correct, we’ve got to begin with an underlying product that is much lower in alcohol. So if you look at distilled spirits—and we believe distilled spirits are very clean as long as they’re clear. So tequila is the distilled spirit of choice for paleo. And my friend Robb Wolf—and your friend—I was just on his podcast last week, developing NorCal margarita, which is three ounces of tequila, some sparkling water, and lime juice. So it’s sugar free. It’s clean. It’s carb free. And now, if you get into brown liquors, you’re going to get into sugars and carbs. But clear, distilled liquor is clean. My problem with it is the alcohol dosage is just too high because now we’re talking about 40% alcohol. And so our choices in lower alcohol product are going to be beer, ciders, and wine. Well, the problem with beer I don’t need to get into. But it’s filled with maltose sugar and carbs and gluten. And it’s just kind of nasty. So beer’s out. Ciders are also low in alcohol but most often contain sugar—not always, but most often. TW: For the ones that don’t, they’re kind of objectionable to most people from a taste point of view. And then you’ve got wine. And wine ranges categorically from 7% alcohol to 24%. So anything below seven just doesn’t taste like wine. And on the fortified end, you get into ports at the high end. All of our wines are lab tested by us. So every single wine that we represent has lab quantification by an independent, third-party enologist. And the reason we do lab testing is because we want to ensure our standards of purity are being met, because it’s the same wine I drink. So I need to know it’s sugar free. I need to know that it’s carb free. I need to know that the alcohol is 12.5% or below, because alcohol is poisonous. And alcohol is a really awesome, wonderful thing in the right dose, because here’s what you get with alcohol in the right dose. In the right dosage, we’re getting increased euphoria. We’re getting an elevated sense of creative expression. And we’re getting a little tad bit of vulnerability. So we’re more likely to bond and to share with one another in a more open way. And these are the benefits of alcohol. Now, there are some known health benefits as well. But these are the psychological and emotional benefits that really make alcohol an extraordinary recreational drug. But like all recreational drugs, dosage matters. And I was like, “Well, I can solve this. You can drink, sleep through the night, and wake up with zero brain fog in the morning. There’s a formula for that.” And I introduced him to it. And that’s how we became friends. So natural wines, which is the category that we recommend that people drink, are farmed organically or biodynamically first. So it’s chemical-free farming, which is really important for a whole lot of reasons. We’re killing the earth. You may know Monsanto, just to throw out a couple data points. Roundup, which is the No. 1-used chemical in US vineyards, period—Monsanto last year sold 225 million pounds of Roundup worldwide. And so we’re literally killing the earth in a whole bunch of different ways. So chemical-free farming, first and foremost. DrMR: And, Todd, you remind me of an interesting and, I think, maybe controversial point. But in Napa, they, as I understand it, have one of the highest purported levels of breast cancer. And one of the theories explaining why that is, is because of all the pesticides sprayed in the vineyards up there. I don’t know if that’s been proven one or the other. But it just goes to show you that it’s a concern—the level of pesticide use. So it’s definitely an important point. TW: It is a very important point. I live in the heart of the Napa Valley, adjacent to 1,000 acres of Robert Mondavi vines. And it’s a real concern. Yes, you’re absolutely correct. The breast cancer rate and other cancers that are tied to what they believe are chemicals used in the vineyards—I believe the rate is 12 times higher than the national average. It’s a ridiculous number. There was an article just published on it last week. And so, yes, it is a big deal. So the Monsanto story and how we’re killing the earth, not just with pesticides. We’re killing the earth in many different ways. I just finished reading the book Sapiens. I don’t know if you’ve read it. But it’s about the history of mankind. And we’ve been walking around for 2.5 million years and been 70,000 years since the cognitive revolution. And science is only 500 years old. We’ve done so much destruction in such a short period of time in the last century that certainly, as a species, we will not make it another 2.5 million years, probably not even 100,000 years. TW: And so, we’ve got to do something. But anyway, back to the wine story and getting high and having fun. But getting high and having fun really means about you and I drinking a lower alcohol product that keeps us cognitively connected. So most often I’m drinking wine—I don’t drink during the daytime for a couple different reasons. I don’t drink in the daytime because I don’t want to shut off my fat burning. So as soon as you start drinking, alcohol is going to become your source of energy. Until that’s metabolized, you’re going to shut down fat burning. No big deal. I’m burning fat all day long as a ketogenic. And I’m perfectly comfortable with that. But if I start drinking in the daytime, you’re going to shut down fat burning immediately. TW: So now, most of us are fueling off glucose anyway. So we’re not burning a lot of fat unless we’re nutritionally programmed to do it. But anyway, so back to getting high, which is one of my favorite topics. This usually happens for me at the dinner table with friends or another friend or friends. And so this is that cultural thing around wine and food and this elevation of euphoria. And your creative expression is just highlighted, just lightened up. This is the wonderful benefit of alcohol. The problem is when we get past that dosage, then we start to lose that creative connection. We start to lose the cognitive connection that we have that’s part of that enjoyment of getting high. And so that’s the reason it’s really important to keep the alcohol dose down. That being said, the other aspect of our wine is that they’re all naturally made. So they’re completely additive free, as all natural wines are. They’re free of any additives. There’s nothing in the bottle but fermented grape juice. Period. And as a result and as a result of it being lower alcohol, they taste different than commercial wines. They’re not sweet. You’ve tasted them. They’re very tasty. And they’re very compatible with a clean diet. So they’re very food friendly in part because they’re just lower in alcohol. Alcohol is hot. And alcohol sort of desensitizes some of your taste components when it’s high. So anyway, it’s just a terrific experience. And the health aspects and the no hangover and the sugar free really just make for health food in a bottle, I like to say. DrMR: Well, first of all, from a taste perspective, I’m not a picky person in general. But I am selective with the kind of wine that I drink. And I don’t remember what the few different reds I had were. But I pretty much liked everything that you gave to me, which is not typical for me. And I did notice that exact kind of non-cognitive-slowing that you sometimes notice after a few glasses of wine. You’re feeling good. But you maybe don’t feel as sharp. I didn’t feel that. You’re telling me about how great the wine was. And whenever anyone is telling me about how good their product is, I always have a BS filter. DrMR: And I’m always suspect. But I could clearly feel that there was something novel about your wine. So from a firsthand experience, I have experienced everything that you’re discussing. TW: Well, the crazy thing is that, again, when I first met Mark Sisson, whom I met at the Bulletproof Conference last year, we were talking about this very issue. The fact is, it’s just a lighter—Abel James even calls it an energized buzz. And what I like to say about these higher alcohol products—all commercial wines are 14, 15, 16%. And guess what? Alcohol stated on the bottle is not required by law to be accurate. So what you see on the bottle is probably understated. So if it says 14.5%, you could be drinking 16% wine. And that’s legal. DrMR: It’s a revolving door between industry and government in a lot of these cases. TW: Absolutely. Absolutely. So they’re high on grains. And you and I know what that’s about. And so I’m grain free for very sound health reasons. So, yeah, what I say about traditional wines is, after a glass or two, you feel like you’ve been clubbed over the head. There’s just a bit of dullness there. And you don’t have that with these wines. You don’t have that dullness. You’ve got euphoria and creative expression. And again, no impact on blood sugar. No impact on ketone production, for those of your fans who are ketogenic. But it’s just an incredible, light, kind of gentle lift. DrMR: And I like what you say where say the “energized buzz.” And just to interject with a few things that I’ve noticed as I’ve gone through the same process that you were describing a little while ago, Todd, which is working on your diet, working on your lifestyle, becoming healthier, feeling better, and then noticing that you have more a negative reaction to these unhealthy foods and alcohols. And so for me, I don’t have much of a problem with gluten, but I definitely notice that if I have too many regular gluten beers, like your traditional IPA, I get a tired feeling in my eyes. I don’t have that energized buzz. However, if I drink something like Redbridge, which is a gluten-free beer, sorghum based, which is a nice, kind of standard beer. Or a good IPA that I like is called Glutenberg. And Omission also makes an IPA that’s gluten free. I drink those beers, and I get that energized buzz. And I got the same energized buzz with your wine. I just throw out some of my own examples because I think with alcohol, it’s probably kind of like diet where we’re going to react to some foods and not react to others. And we should all probably go through the process of trying to figure out what alcohols work for us, what alcohols don’t work for us. Of course, there are some guidelines that can help you—gluten free, clear spirits, things like Todd has been discussing. But I think a little bit of tinkering is important. I have a friend here in town. We grab a beer every once in a while. The first night we drank Redbridge together, being sorghum based, he learned that he feels great on sorghum day-of. But he is decimated with a hangover the next day, whereas I feel pretty good. So I think everyone might be a little bit different with their tolerance to alcohol. But something key to look for is, do you have an energized buzz? I think if you find a good alcohol for you and one that’s clean, just like Todd is saying and like I’ve experienced, you should feel that energized—I think I’ve referred to it as rocket fuel sometimes. I say Redbridge and a slice of gluten-free pizza is like my rocket fuel if it’s a weekend and I feel like letting my hair down a little bit. So yeah, I would encourage people to find their energized buzz drink so that they can feel good and not feel any of the negative, kind of tired, bogged down feeling that alcohol can sometimes cause. TW: Right. So we’re all different. The same thing is you know in working with patients and advising people in health regimens. Look, we’re all different. So no one size fits all. And so we just have to find that program that works best for each of us individually. I’ve seen many people do very well on ketogenic. For some people, they don’t do so well on it. So it just depends. Another interesting thing to keep in mind when—of course, consumption of alcohol is going to be—when we talk about hangovers, alcohol is one part of the hangover. But all these additives and by-products are a bigger part of the hangover. And so when you get rid of all the poison and the additives, as our wines are additive free—when you get rid of all that, you’re going to find a cleaner, better buzz. And here’s what’s happening in the American wine industry—consolidation. Fifty-one percent of all wine made and consumed in the US is made by just three giant companies. Just three. You don’t know that. And they don’t want you to know that, because they hide behind thousands of labels and brands so that you believe you’re drinking from a farmhouse or some chateau. TW: But the fact of the matter is you’re drinking from factory poison. Now, you can’t make wine in these types of volumes without using chemical additives and stabilizers and sterilizers and all kinds of nastiness that enables you to make a factory product in that amount. In addition to that, they are seeking to achieve a shelf-stable, consistent product. So the hamburger today tastes like the hamburger tomorrow. TW: So you’re talking about a factory product. And that’s what’s making people feel bad. And the other thing is, the way these products are made, not only do they contain sugar, but they’re high in biomines, particularly tyramine and histamine, that are making people feel bad. And some people have quite dramatic reactions to them. DrMR: Are your wines lower in histamine? TW: Like a fraction of the histamine and tyramine. Also, our wines are screened for mycotoxins, particularly ochratoxin A. And so we know that they are mold free and mycotoxins free as well. Now, that’s a big deal because, as you know, our friend Dave Asprey, who’s Mr. Mycotoxin and also endorses our product, is big on the mold and mycotoxins in coffee. In the US, there is no screening for mycotoxins or ochratoxin A for coffees or wine. Zero. It’s not required, not measured. In the EU, all coffee and all wines are tested for mycotoxins. Period. And the threshold for wine is very low. The threshold for wine is two parts per billion. The threshold for coffee is five parts per billion. And so these toxins, which we know are dangerous—there’s no screening and no tolerances of any kind for them in US wines or coffee for that matter. And you might know where the coffee goes to when it tests high in mold and mycotoxins in Europe. It gets shipped to America. TW: I’m just telling you what happens. TW: So we’re very fanatical. We’re not going to have time in this short reel to cover all the lab quantifications and everything that we do. But we’re super fanatical about lab testing these wines. I drink the same wines that you drink that I send you. So anyway, we’re just super fanatical, which is the reason that Dave Asprey and others—Dave is a self-quantifier. You mentioned experimentation. I’m a self-quantified life. I experiment with all kinds of biohacks. And that’s how I ended up biohacking wine. TW: I was already a biohacker and had been a biohacker for 10 or 15 years and just trying to optimize the aging experience and optimize my living and life experience through many of the practices that you recommend and also participate in. DrMR: Yep, definitely. And I didn’t realize the low-histamine piece, which is another, in my mind, big component to this. Two others that come to mind are sulfites/sulfates and tannins. Tell us a little bit about those, what kind of impact they can have, and what your wine looks like in relation to those. TW: Let me start with tannins first, because I failed to mention tannins. So leading researchers believe that what’s making people feel bad from drinking wine and, particularly, red wine are histamine, tyramine, a handful of other small biomine, and then tannins. Now, wine-making styles in recent decades have substantially increased the tannins and the histamine and biomine, primarily from long soak on the skin. And if it’s a fine wine product, then it’s going to be most likely aged in new oak. So all your fine wine products are all aged in new oak, which is then also exaggerating the tannin profile. So we believe it’s tannin and biomines that are making you feel bad. And we think they’re unhealthy. So that being said, here’s the reason you have a long soak on the skin. Quick wine-making lesson. Wine juice—juice when a red grape, juice from a white grape are both clear. How red wine gets its color is from contact with the skin and the seeds. That’s where the color in red wine comes from. White wines typically, almost always except a very small classification of white wines—white wines have no contact on skin. So it’s just free-run juice. So what winemakers do as a matter of style in the recent decades—because Americans believe that the darker and richer a wine looks is a higher quality. So we just believe that red wines that are dark and rich are better. There’s no truth to that. But because the public believes that, winemakers have extended the maceration, which is the soak on skin, substantially in the recent decades. So what we end up with is this dark, rich, big, extracted wine product. DrMR: Letting the grapes sit in the juice essentially? TW: That’s how red wine is made. That’s not how white wine is made. So white wine, you press the juice from the grapes in a hydraulic press typically. So you use a press. You press the juice. And that free-run juice in white wine is clear. And it goes off directly in the tank for fermentation. DrMR: Gotcha. So it doesn’t sit with the grapes. Gotcha. TW: No. Red wine—the pumice, the grapes are fermented the actual skin and the seeds. In some cases, the stems as well. But usually it’s just the seed and the skin. They sit in a fermentation tank. It’s referred to as maceration. TW: So that’s where it gets its color. Red wine, when you press the juice from it, it’s clear. It only gets color from contact with the skin. That’s where it gets its color from. But that’s also what’s driving up these extended macerations, which are driving color and body into the wine, is also driving higher histamine and higher tannins. So the longer they macerate, the higher your biomine and the higher your tannin. And that’s what we think is making people feel bad. So the maceration periods on our wine are very short. TW: It’s a part of the wine-making protocol, these short maceration periods. Now, they make for a cleaner, less extracted, clearer, lighter, lower alcohol wine. That’s the result of that. So anyway, on to sulfites. I’m just switching off from tannins and biomines over to sulfites. All wine, 100% of wines contain sulfites. Why? Sulfites are naturally occurring in grapes in the fermentation process. So sauerkraut is fermented. It has sulfites—a lot more than wine. So any kind of fermented food is going to contain sulfites. The reason that the wine bottle reads “Contains sulfites” is because it was a piece of legislation that was passed by a very old teetotaling senator from South Carolina a few decades ago who didn’t think people should drink at all and wanted to put anything on a wine bottle that would stop people from drinking it. So they added sulfites to scare people. The fact of the matter is all wines and all fermented foods or dried fruits or potato chips, for that matter, all contain sulfites, a lot more than wine. If you look online, sulfites and wine—you’ll get a number of articles and graphs that come up that show you sulfites in wine are very, very low compared to other food types. That being said, sulfites are naturally occurring in wine making. Now, here’s where the problem comes in. The US allows for 350 parts per million of sulfites. That’s the legal limitation. Most commercial wines are between 100 and 250 ppm, most of them up in the 150 to 200 ppm. That’s where most commercial wines fall. Some are higher. Our wines are restricted by us. And we lab test for sulfite. Our wine is restricted at 75 ppm because you can have as much as 75 ppm naturally occurring in wine. But most of our wines test out at less than 20 ppm. We just have this cap at 75 because it’s possible to have naturally occurring sulfites as high as 75 parts. Here’s how they get so high in commercial wines. And I’ll tell you what our thinking is around it. Here’s how they get so high. SO2 (or sulfur dioxide) is used to sterilize and preserve wine to, again, create this kind of shelf-worthy, consistent product. It’s going to kill everything in the wine. Wine is living. Real wine, our wines are alive. And as a result, they taste different. Commercial wines are sterilized. They’re killed. So they get a high dose of SO2, of this sulfur, at the time of bottling. And this just basically sterilizes the wine. My experience with it in drinking higher and lower sulfite wines, I don’t find any difference in how I feel, nor do any of my compadres. I don’t find any difference in how I feel. But I’ll tell you this. You can tell a big difference in what the wine tastes like. So when a wine has been sterilized, it tastes very different. It tastes like a commercial wine product. When you’re drinking natural wine, it’s a living thing in a bottle. And so it just tastes very different. It tastes healthier. Our wines just taste healthier. They’re just cleaner. DrMR: Now, I heard that sulfites can be added as a preservative. Is that more so the SO2 gas that then increases sulfites? Or are sulfites added sometimes directly as a preservative? TW: They are added directly at bottling in most cases. TW: Directly. And yes, it is sulfur. And it is added as a preservative. But these producers—these are commercial businesses. They’re profit fueled. In America particularly, and this is a global problem as American values have seeped throughout the world around our consumption with successes, greed and money and profits. And we’re not trying to make wine better. We’re trying to make wine cheaper and faster. TW: And so this is the story of agribusiness all across our planet. But it’s a particularly American problem. So American winemakers are not trying to make better wine. They’re trying to make it cheaper and faster. And nobody is thinking about the health aspects. I am. I’m talking all over the country about it. And so I’ve been on virtually every podcast that—yeah, just been all over talking about this issue because people need to know about. And we’re all consumed with what we’re eating. We’re reading nutritional labels. We want to know how much sugar, how many grams, this, that. I do it. You do it. You advise your patients to do it because it’s the right thing. But you can’t do that with wine. And nobody is thinking about it. And many of us love to drink wine. And most of your listeners drink wine. And the only way to do that is buy wine from us or search for natural wines in your market. The problem is they’re hard to find. And they’re not available in most US markets. They’re available in New York, San Francisco, LA, tiny bit in Chicago. And other than that, you’re going to be hard pressed to find a lot of natural wine. You’ve got to really search for it. But you can do an online search in your community for natural wine and see if you can find merchants who have any knowledge. But even your local wine store, or any of your big-box stores, they don’t have any idea what it is. They don’t even know what you’re talking about. And if you go in and ask a wine merchant for low alcohol wine, he’ll look at you like you have a third eye. DrMR: Is natural wine… I know, for example, natural on the label of food means nothing. There’s no regulation. There are no standards they have to adhere to. For organic, there is. There are certain certification standards you have to adhere to. What does that look like for natural? Can anyone just put natural on the bottle? Or is there a certain seal or crest or certification that people can look for? TW: No. No, there’s no certification for it. But these are all small family farmers in Europe. We know them. We tour these farms. We know their wine-making protocols. There is a very hippie-like vibe, a very serious conscientious sort of purpose. These people are stewards of the land, most of them multi-generational landowners. Our wines average $22 a bottle, which is an extremely affordable price for a fine wine product. TW: Now, I know it’s expensive by some standards. But for a fine wine product, it’s very affordable. DrMR: It’s very reasonable, yeah. TW: But no, there’s no certification for it. But naturally made wines are a bit of a source of pride. And these are activist farmers who are running biodiverse farms and who take a serious pride in their craft. $9 a bottle. So there’s no money in it. And you can’t produce these wines like this in the US because of land costs. In the Napa Valley, where I live, vineyard is $300,000 an acre. TW: The fact of the matter is you can’t make a wine at $20. The math just doesn’t work. TW: And so that’s where you get into all these huge production facilities and factory wines. Look. Here’s the fact. If you pay $150 a bottle, which is not uncommon at all in the Napa Valley—if you pay $150 a bottle or $15 a bottle, you’re still getting some additives and additions and manipulations. The question is, the less you pay, the more chemical you’re going to get. TW: Because you just can’t make wines at that price with these land costs and American labor cost. You just can’t make it. It just doesn’t work. DrMR: Yep. You make some really good points. Definitely. Gosh, in northern California, the cost of living is just ridiculous because the property values are just through the roof. And that extends all the way up through Napa. I had a friend who was trying to get married in Napa. And he said it is so bafflingly expensive to get married in Napa. He goes, “There is just no way we’re going to be able to do it” because everything up there is just expensive. Yeah. TW: It is ridiculous. A million dollars on a home is a teardown. It’s just like crazy. TW: It’s just craziness. But it is one of the most beautiful places in the world. TW: And aside from the breast cancer rate, it’s just a pretty optimal way of living. It’s a terrific community and friendly and small towns. I have nine doors that come in and out of my house. I’ve never had a key to my house. It’s unlocked all the time. It’s just a super place to live. But it’s super expensive. So anyway, and the last cost for vineyard is $300,000, $330,000 dollars an acre. TW: Dude, the math on that just doesn’t make $20 wine. TW: So anyway, the people we work with are a couple hundred family farmers primarily in Europe, scattered in other parts of the world. There are probably about 10 to 20 in California that actually make a natural wine product. The problem is they typically don’t meet all of our criteria. So they’re usually not dry farmed. And we’re not going to get into the irrigation thing. But dry farming is a very big deal in the character and quality of fruit. In fact, irrigation is illegal in most of Europe because the Europeans who’ve been making wine for thousands of years know what I know, which is the moment you intervene in nature’s logic and start pouring water on a grape vine, you end up with a very, very different quality of fruit than you do from dry farming. That’s just a fact. TW: It also leads to higher sugar. Higher sugar leads to higher alcohols. And wine-making styles lead to higher alcohols. But anyway, we’re a wine club. We have thousands of members across the US. We’re happy to have your folks join us. But if not, go online and search natural wines. And see if you can find a merchant in your neighborhood who can help you get access to natural wines. DrMR: Definitely. And I want to come back in one second to where people can contact you or track you down or plug in and all that good stuff. But one final question regarding digestive tolerability. 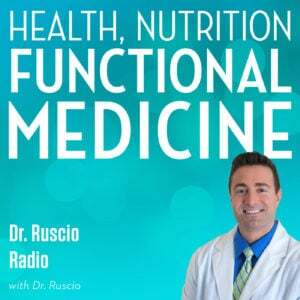 A lot of people who follow our podcast have interest SIBO or IBS or IBD or different functional gastrointestinal disorders. Now, I’m assuming a lot of this is going to make these wines much more gut friendly. But do you have any specific tidbits regarding digestive tolerability of these wines? TW: I don’t, not specifically. And I don’t want to speak about something I don’t have really validated science around. But here’s what I can tell you. We are contacted daily, weekly, frequently by folks with all kinds of challenges with drinking wine from histamine allergies to—in fact, we’re endorsed by Yasmina, the histamine chef whom I got introduced to actually at Paleo f(x). And she was just so excited to be able to drink our wine and have zero histamine reaction to it. And we hear this from people time and time and time again where they’re just not having these traditional reactions either with gut issues or with histamines or with all of the sort of ugliness that they find with traditional wine product. TW: So all I can tell you is that I’ve had one person out of thousands—I’ve had one person who’s sent me a feedback that said, “You know what? Your wines still make me feel bad.” One out of thousands. And we get testimonials and emails daily from people who are just grateful to be able to drink wine again because they had to stop drinking. And in many cases, they just stopped drinking, period. But they liked to drink and enjoyed the cultural aspects of drinking. And so I don’t have any specific data and science around the gut issues. But all I can tell you is that people give us feedback constantly about how excited they are to be able to drink wine and have such a positive experience with it without any of the negative remnants. DrMR: It makes sense. And I would think that you’re going to have the best probability of tolerating a wine with this type of wine, absolutely. So tell people how they can get this wine or plug into your service and how your services work because I’m not even sure. Do you do buy a bottle? Is it by case? Is it a membership? Tell people about that if they wanted to start getting this wine. TW: Awesome. Well, we’re going to give your listeners a special offer, which I’m going to cover. So if they go to Dry Farm Wines, they’re going to get a one-penny bottle offer from us as being a part of your audience. So that’s the link they would go to, to learn more about our wine program and get our special one-penny offer. On the interwebs, people can reach me directly if they have a question, want to contact me, at Todd@DryFarmWines.com. On all social media, we’re just Dry Farm Wines. And we’re a wine club. So our program is very simple. We ship six or 12 bottles monthly or every other month. And we curate to your preferences—you want mixed, red, all white. So you just select what you want. It’s very affordable. Six bottles is $159. And that includes shipping anywhere in the continental US. We pay for that, which is a big deal because wine is expensive to ship because it’s heavy. TW: And it’s perishable. And so we have to use certain shipping protocols to keep it safe. So anyway, we ship monthly or every other month. About half of our customers are monthly. About half are every other month. We have special programs where—we have some customers who get as much as three cases a month who drink a bottle every day and then down from there. But typically, our program is six or 12 bottles monthly or every other month. And all shipping and all costs are included. You can go to Dry Farm Wines. And you’ll see the program there. And you’ll be able to get a free bottle of wine. Or we have to charge a penny for it. It’s against the law to give alcohol away. So we charge one penny. DrMR: Gotcha. So that’s why the penny. Okay, now I get it. TW: Yeah, that’s the penny, my friend. DrMR: Cool. Well, yes, everyone. Check out their wine. We don’t often have products on the podcast. And it’s not because I have anything against products. It’s just there are not really a lot of products that I think are unique and novel that people need to hear about. But this was the first time I came across a wine like this and hadn’t really seen much else anywhere else. So I thought it’d be worthwhile to make people aware of this. So if you want to be able to have some wine and have some fun, you can do that with the minimum amount of repercussions. And, Todd, I’m glad that we connected at Paleo f(x). I know you’ve got some wine on the way to me. And I’m looking forward to getting that because I haven’t had any since Paleo f(x). It’s kind of been a whirlwind. I went from Paleo f(x) to the SIBO Symposium. And then I’ve been playing catch-up. But I’m looking forward to having a little bit of free time—wine time, I guess—and delving into some of the selections that you have. So I’ll look forward to that. And thank you again for coming on the show and sharing this with everybody. TW: Hey, it was great to be here. I really appreciate you inviting me. I hope your listeners learned something today. And I know we went a little bit long. But hopefully, the content was worth their time. And I look forward to catching up again. DrMR: Absolutely, Todd. Thank you again. Have a good one. Where do local Sonoma Coast biodynamic producers, like Littorai, Quivara, etc (maybe Flowers and Hirsch also) fit into Todd’s evaluation of “natural wines” — are the issues still tannins and not all dry farmed, thus still higher alcohol and tannin (and histamine)? Thanks Susan! Yes, yes and yes. Think of wines in two parts: Farming Practices and Winemaking Protocols/Interventions. Just because a wine is organically or biodynamic farmed, does not make it natural. Nearly all organic wines are not Naturally made in the cellar. For domestic wines, most fall short meeting our health criteria in these areas: Irrigation, high alcohol, high sugar, additives, new oak programs, high histamines and various modern wine making protocols creating a wine style of wine we consider unhealthy. Hopefully this is helpful! I have your introductory wines. They are from are from all parts of the world. Are you a broker and sell their wines or are they your wines? How can they be from all over then? I believe they curate from different vineyards all over Europe. Thank you- really interesting read! I just ordered from Dry Farms but the average bottle price is not $22 it’s $26 and $28 with shipping so a bit higher. It would be great to know (we live in Napa) if anyone in the valley is selling this kind of wine direct.